New arrival in Kamari, signalling Giorgos Kyriakoulis’ comeback to the gastronomic scenery of Kamari. Giorgos Kyriakoulis has a long experience in gastronomic human issues of the area. Well-prepared dishes from greek and mediterannean cuisune with new suggestions every day, casserole proposals, fresh fish and carefully grilled meat options. 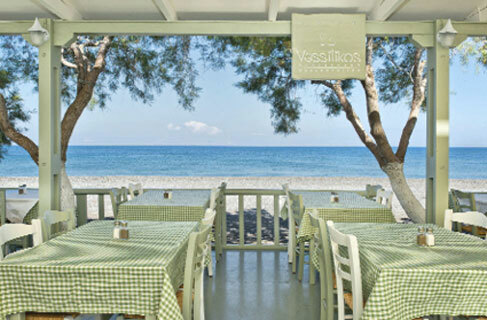 A beautiful veranda by the sea and a garden full of basil aromas –that is where the name of the restaurant comes from (‘Vassilikos’ means ‘basil’).